Dr. Balytsky received his first Dental Degree in 1982 and practiced General Dentistry and Dental Anesthesiology in Ukraine for 10 years. After moving to the United States, he received his Dental Degree (DMD) from the University of Pittsburgh, PA in 1995. He then practiced as a General Dentist in Pittsburgh, PA. In 1998, Dr. Balytsky completed a two years post-graduate specialty program and received his Certificate in Endodontics from the University of Pittsburgh, PA. Dr. Balytsky practiced as an Endodontist in Pennsylvania, where he also taught Endodontics at the Muhlenberg Hospital Post-graduate General Dental Residency Program in Bethlehem, PA. In 2004 Dr. Balytsky became a Diplomate of the American Board of Endodontics. Dr. Balytsky is a member of the American Dental Association (ADA), American Association of Endodontics (AAE), and the College of Diplomates of the American Board of Endodontics. 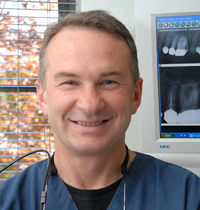 Dr. Balytsky started his Endodontic practice in Petaluma, CA in 2004. He believes strongly in giving back to the community and is a member of Petaluma Rotary Club. Currently, . He also donates his specialty services to various charitable organizations, such as the Hanna Boys Center, Chernobyl Children's Project, Valley of the Moon Children's Home, Russian River Dental Clinic and the National Foundation of Dentistry for the Handicapped. Dr. Balytsky teaches as an Assistant Professor at the University of the Pacific Dental School in San Francisco. Dr. Balytsky's wife Natalia is an Anesthesiologist/Pain Management specialist in Santa Rosa, CA, and they have two daughters. He enjoys playing soccer, kayaking, hiking and skiing. Cindi is a Registered Dental Assistant and has an AA in Dental Assisting. She has been in dentistry for over 30 years, the last 6 years of which have been devoted to endodontics. 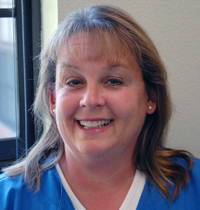 Cindi is an outstanding dental assistant dedicated to excellence in everything she does. 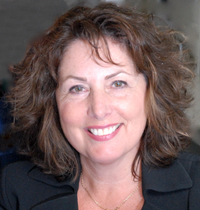 She has been with Dr. Balytsky since the start of his practice in Petaluma, CA. Cindi is married and has one son. She loves spending her free time gardening, camping, and playing with her three springer spaniels. Cynthia, our Front Office manager, has worked in a dental field for over 25 years. She joined Dr. Balytsky shortly after he started practicing in Petaluma, CA. Cynthia is devoted to providing an excellent patient service, and she does her work with passion and enthusiasm. She is an insurance expert and is always happy to answer any question.